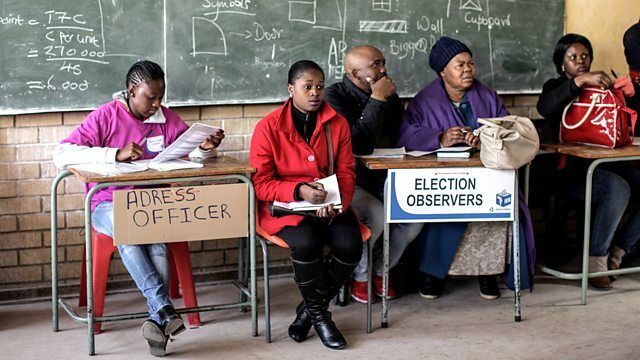 Kate Adie introduces reports on South Africa's elections; Germany and migration; Kosovo's Olympic debut; Gujarat's Dalits march against discrimination; and old meets new in Samoa. Kate Adie introduces dispatches from writers and correspondents around the world. This week: Karen Allen in Johannesburg considers South Africa's municipal elections and what they are likely to mean for both the political parties and the voters; Damien McGuinness reports from Berlin on Germans' reactions to the recent violent attacks in their country, some of which were carried out by asylum seekers, and Chancellor Angela Merkel's policy on refugees; Paul Martin meets the woman judoka aiming to make Kosovo's debut on the Olympic stage a golden one; Soutik Biswas talks to a Dalit - once known as an untouchable - from Gujarat about his efforts to make his business prosper in the face of hostility from upper caste Indians; and Lucy Daltroff tours the islands of Samoa in Polynesia to discover how a Pacific paradise copes with the demands of modern life.